The tables below summarize results from a series of observational studies of cognitive activity in relation to Alzheimer's disease dementia (AD) risk. Overall, these data are consistent with an association between participation in cognitive activities and lower risk of both clinical AD and all-cause dementia. Confounding and reverse causation could have biased some of these results, meaning that they should be interpreted with caution. Nonetheless, our bias sensitivity analysis, shown in an expanded paper, suggests that confounding per se is unlikely to explain the entirety of the findings, although reverse causation remains a concern (Sajeev G, et al. Epidemiology. 2016). In addition, the lack of an agreed-upon definition of cognitive activity as a construct and of its relevant dimensions, along with differences in its operationalization across studies also complicate comparison and synthesis of results. 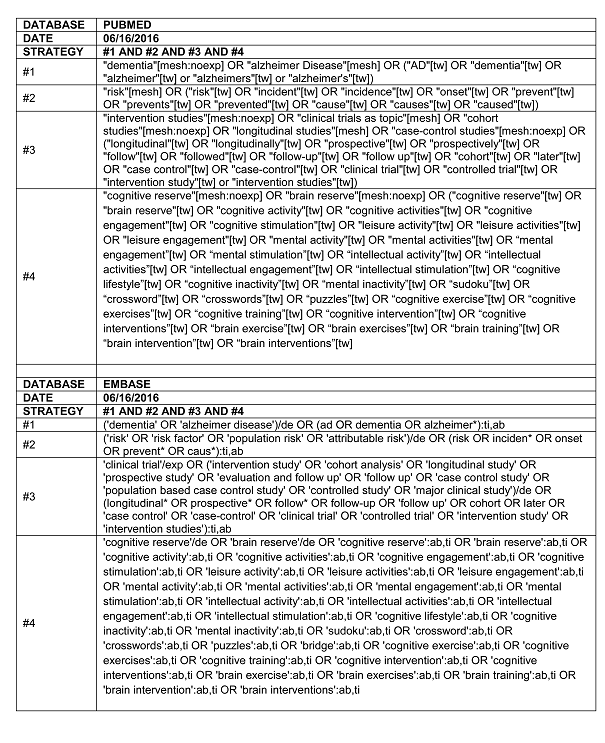 Thus far, the only large randomized trials of cognitive training interventions have shown modest, typically transient benefits on targeted cognitive domains, and it is unclear to what extent these relate to long-term pursuit of personally selected leisure activities. Further, whereas recommendations to remain cognitively engaged (“use it or lose it!”) are unlikely to be harmful, little is known about dose-response relationships, and how issues such as type, duration, intensity and timing of activity influence AD risk. Overall, engaging in activities enjoyable for their own sake seems a safe approach while further information is gathered. For a review of the putative mechanisms by which cognitive activity may influence AD risk and detailed commentary on interpreting these findings in a broader context, please view the Discussion. An expanded review, which includes studies reporting only on all-cause dementia as well, and bias sensitivity analyses, see our published paper, Sajeev G, Weuve J, Jackson JW, VanderWeele TJ, Bennett DA, Grodstein F, Blacker D. Epidemiology. 2016 Sep;27(5):732-42. PubMed and EMBASE were searched for peer-reviewed articles examining the association between cognitive activity and incidence of Alzheimer disease (AD) in cohort or nested case-control studies. Using the search strategy detailed below, 891 unique citations were found. 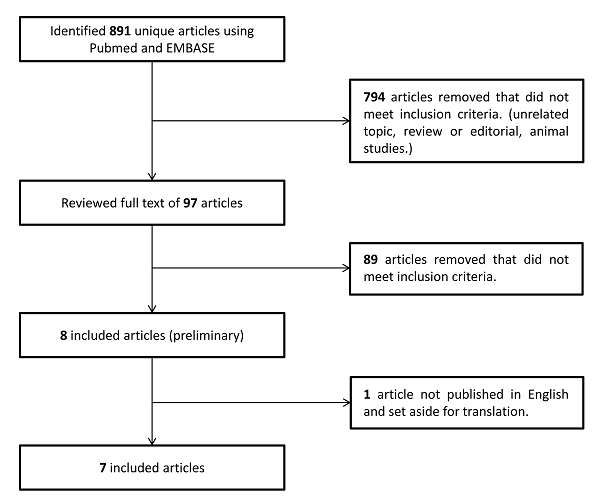 After review of article titles and abstracts against our inclusion criteria, 97 citations were identified for full-text review. Two non-English language articles were set aside for future translation, screening and review. Of the remaining English language articles, 15 met criteria for inclusion in our summary tables. We excluded one additional article that duplicated analyses from cohorts that contributed data to other included articles. Overall, 14 articles were included in our final summary tables. Please see our methods section for more details on our general systematic review methods. Karp et al. (2006) was included, while Paillard-Borg et al. (2009) was excluded. Both studies inquired about participation in leisure activities, but differed in their operationalization of exposure. Karp et al. assigned scores to each leisure activity, denoting the extent to which it demanded mental exertion, and used the overall intensity of cognitive activity estimated across all activities as the exposure. Paillard-Borg et al. use principal components analysis to summarize the leisure activities into three broad categories (“mental”, “physical” and “social”), and used levels of the “mental” factor score as the exposure. Both studies began with the same analytic sample. Although Karp et al. al followed participants for two follow-up waves, and Paillard-Borg et al. followed participants for three follow-up waves, we chose to include Karp et al. as it provided a more complete measure of overall cognitive activity than Paillard-Borg et al. Karp A, Paillard-Borg S, Wang HX, Silverstein M, Winblad B, Fratiglioni L. Mental, physical and social components in leisure activities equally contribute to decrease dementia risk. Dement Geriatr Cogn Disord. 2006;21(2):65-73. Paillard-Borg S, Fratiglioni L, Winblad B, Wang HX. Leisure activities in late life in relation to dementia risk: principal component analysis. Dement Geriatr Cogn Disord. 2009;28(2):136-44.